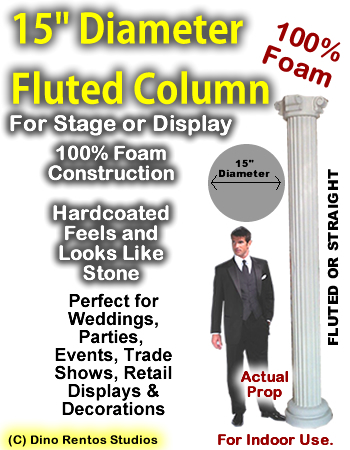 Foam Column Prop 15" Diameter - Dino Rentos Studios, INC. Select height. Price is per foot. Natural Color is light gray. Optional colors available. We will call you with the shipping charges or call for a quote.